Skeiðarárbrú is a bridge over the Skeiðará glacier on south Island. 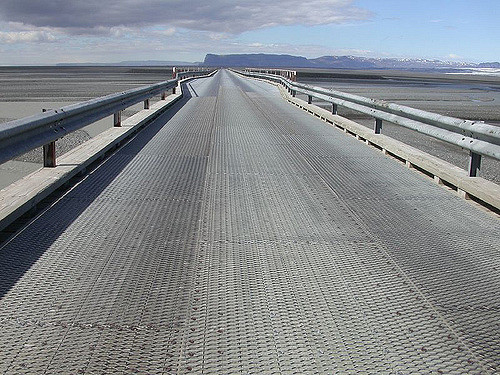 Iceland’s longest bridge, Skeiðarárbrú, will no longer be in use as of next year. A new bridge will be built across Morsá river. The new bridge is expected to be completed next summer and construction costs are an estimated 430 million ISK (3,045,891 Euros/ 3,336,794 US dollars). Skeiðarárbrú was the final part of Route 1, the Ring Road, to be completed. 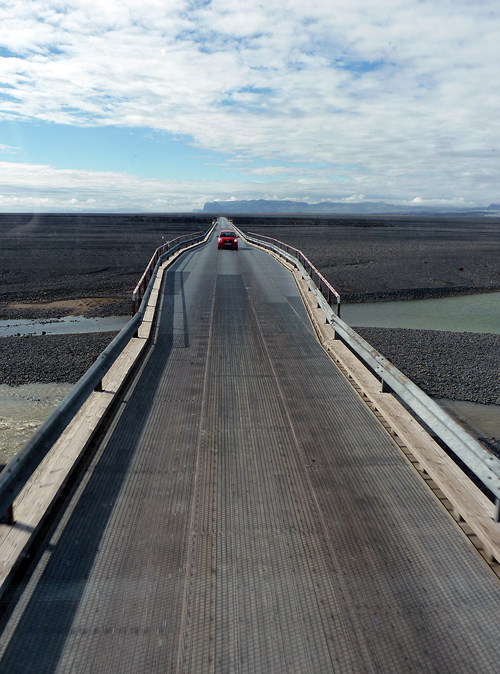 The bridge was taken into use in 1974 and crosses Skeiðará glacier river, which has its source on Skeiðarárjökull glacier (one of Vatnajökull’s many outlet glaciers). The river’s frequent outburst floods have long caused transportation problems between the south and the east. During a massive outburst flood in 1996, Skeiðarárbrú bridge was severely damaged by floating ice boulders, some the size of two-story houses. 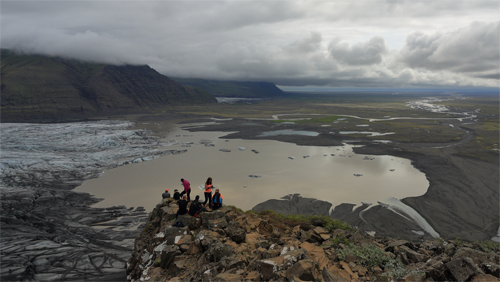 Skeiðará is a relatively short glacier river (about 30 km long). 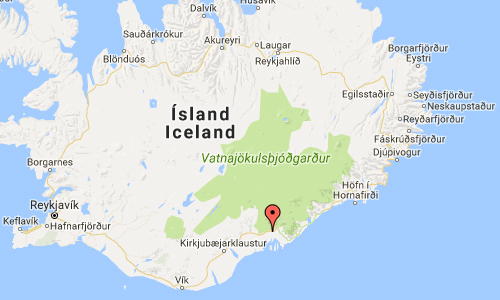 It has its source on the glacier Skeiðarárjökull, one of the southern arms of the Vatnajökull in the south of Iceland. In spite of its short length, this river has a bad reputation. It is especially feared because of the frequent glacier runs that can be fatal. In front of Skaftafell and Skeiðarárjökull, Skeiðará has formed the Skeiðarár Sandur, a black plain of lava sand and ashes crossed by a lot of small rivulets which covers the whole area between the park and the sea (about 40 km long and 5 to 10 km wide). 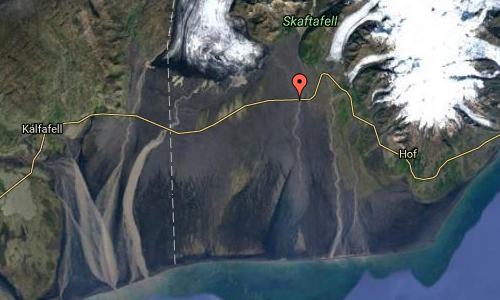 In 1996, the latest of these glacier runs took place. It destroyed parts of Route 1 (the Ring Road). 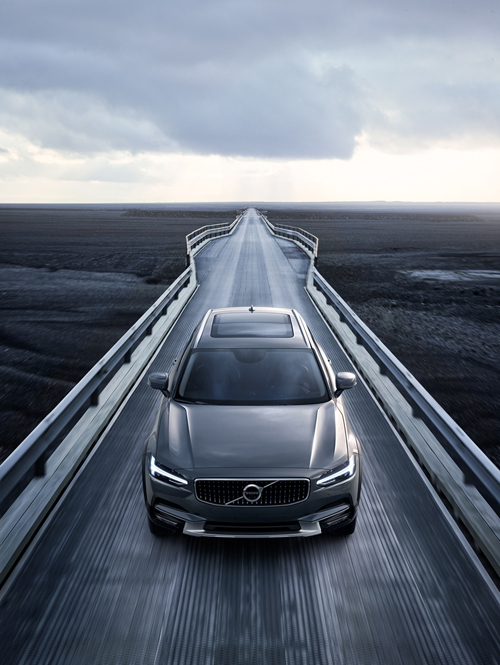 The 880 m long bridge was damaged by floating ice boulders the size of houses. At the peak of this glacier run, 45,000 m³/s of water were coming down. No one was harmed, scientists having very carefully monitored the volcano Grímsvötn on Vatnajökull which caused the glacier run by its eruption. More information at en.wikipedia.org, icelandmag.visir.is and guidetoiceland.is.